The sharp peaks of the Five Sisters dominate the horizon, while tucked away in a cleft of the glens lie the dizzying Falls of Glomach. 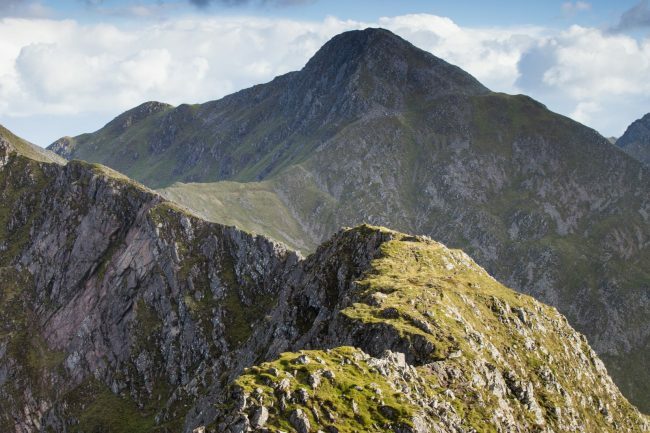 A network of trails will lead you up and around the mountains, lochs, glens and coastline. You’ll also find a multitude of other challenging outdoor activities to experience here – sea kayaking, climbing or high-intensity hill walking. Seek out Cill Fhearchair, a 2,000-year-old standing stone and burial ground, close to the site of the Battle of Glen Shiel. This battle was fought between the Jacobites and government soldiers on 10 June 1719, and ended in a government victory. Meanwhile, photographers and artists will fall head over heels for vistas that bring together the most iconic features of the Highlands.